also avoid traps and monsters as they try to twart your progress. room. 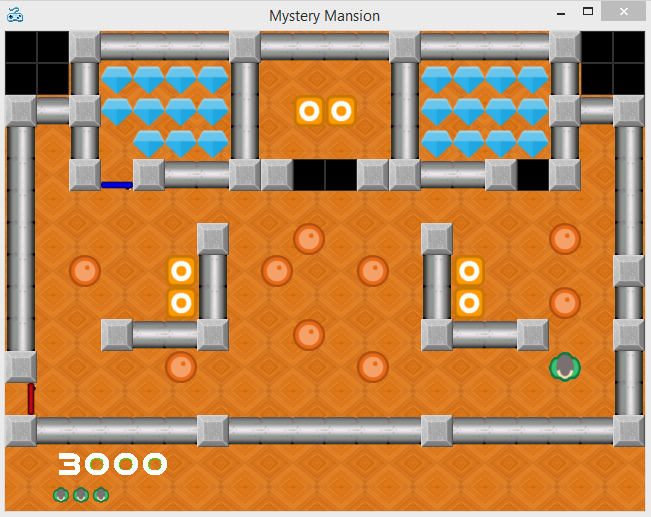 Solve all the rooms to get the biggest treasure of all. Use the Arrow keys to guide your character. Be careful not to get stuck. 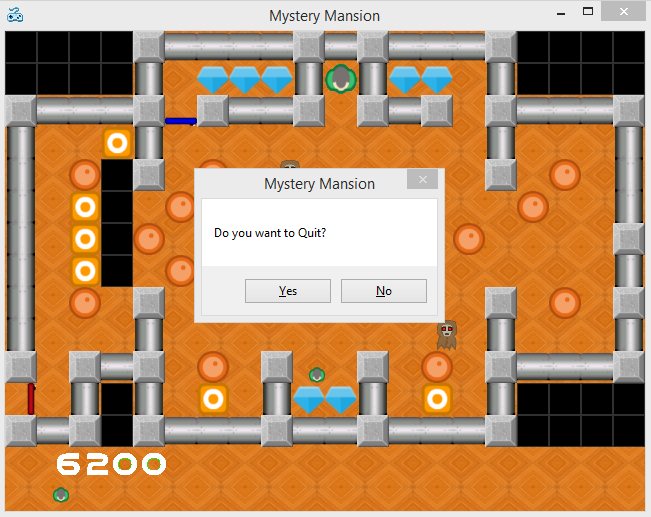 Press 'R' to restart the game and you also lose a life. If the monsters touch you, you lose a life. Patience is your friend! 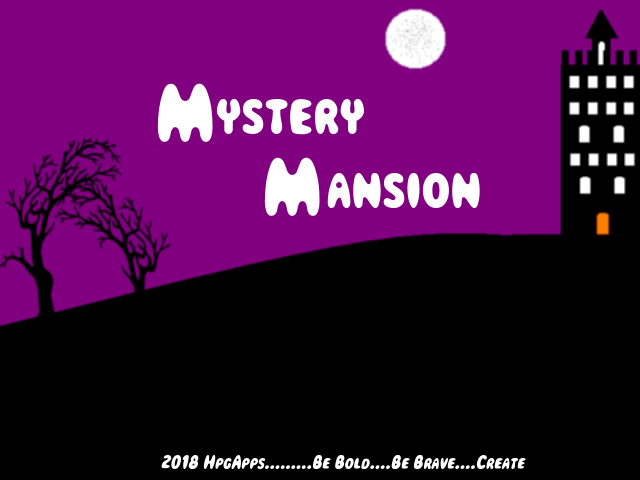 So I finally got around to play testing Mystery Mansion this morning, and really have to say that it was a fun experience. 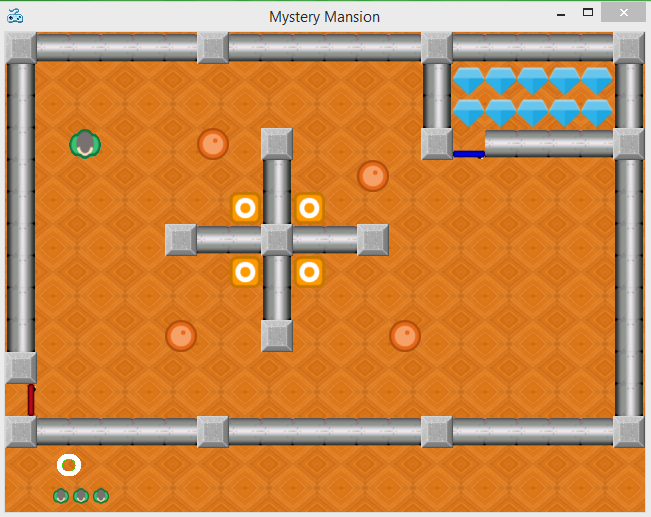 I did not expect to end up playing the game as long as I did, and I am usually very bad at puzzle games. 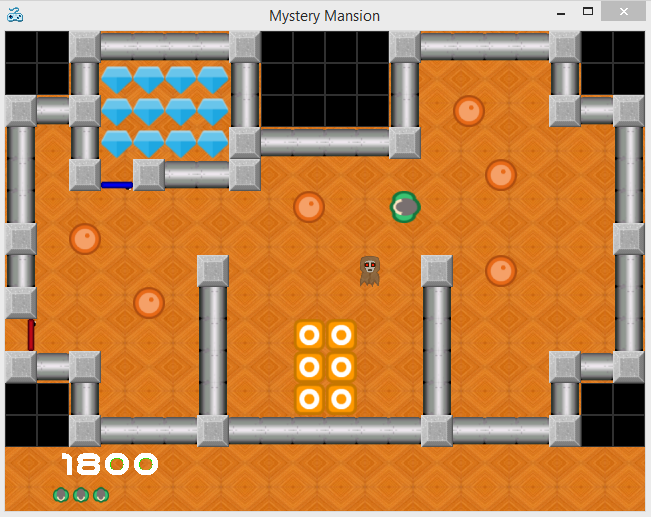 I found it appealing that this was not simply a puzzle game but also had its own backstory and lore, which is rare, but no unheard of, for this genre of gaming. I was also impressed with the game's linear learning curve as I did not find myself habituating any of the levels and that made things more interesting. Overall, really good job Hugar and I look forward to seeing more games from you! ENIGMA - The secret ingredient is archaic Latin.